Posted on : June 2, 2016, By: Tom Kokonowski, Esq. Drug trafficking is the most serious of drug crimes and is punished harshly by the Commonwealth of Massachusetts. 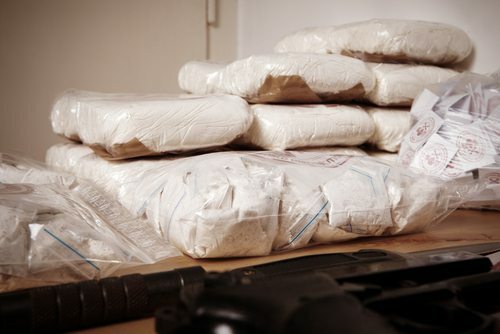 If you are charged with drug trafficking, it’s critical that you have an experienced defense attorney in your corner. Here’s what you need to know about drug trafficking laws in Massachusetts and how to get the legal representation you need. Many people believe they have few options if they are found with large amounts of drugs in their possession and are charged with trafficking. However, there are numerous criminal defense strategies that have been proven successful. Most often, an attorney will attempt to have the evidence suppressed by challenging the legality/constitutionality of the search and seizure of the drugs and any other items that law enforcement says is evidence of trafficking. It is nearly impossible for the prosecution to get a conviction if the evidence cannot be admitted into court. In cases where a warrant was not obtained and the police determined what probable cause was after they began searching, an attorney may be able to argue that law enforcement had no probable cause to search your vehicle, your home, or other property. If you have been charged with drug trafficking, it’s important that you take these charges seriously. As you can see from the above penalties, your life will be significantly changed and you will face many years in a Massachusetts state prison if you are convicted. Attorney Kokonowski will aggressively defend your rights under the law and will do everything possible to see that the charges against you are dismissed or reduced. Even though you are facing life-altering charges, you can go to court with confidence when you have an experienced, zealous drug crimes attorney on your side. Call now for a consultation at (413) 585-9200 in Northampton or (413) 549-0022 in Amherst.